Diamond Details: Round brilliant cut white diamonds of F color, VS2 clarity and excellent cut and brilliance, weighing .51 carat total. 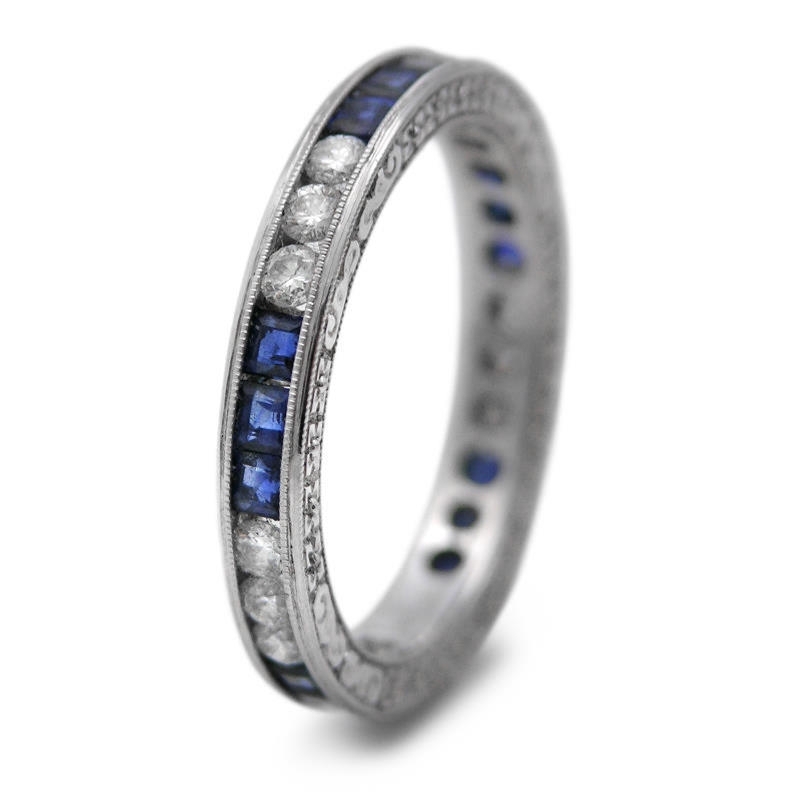 Gemstone Details: Princess cut blue sapphires, of exquisite color, weighing 1.10 carats total. 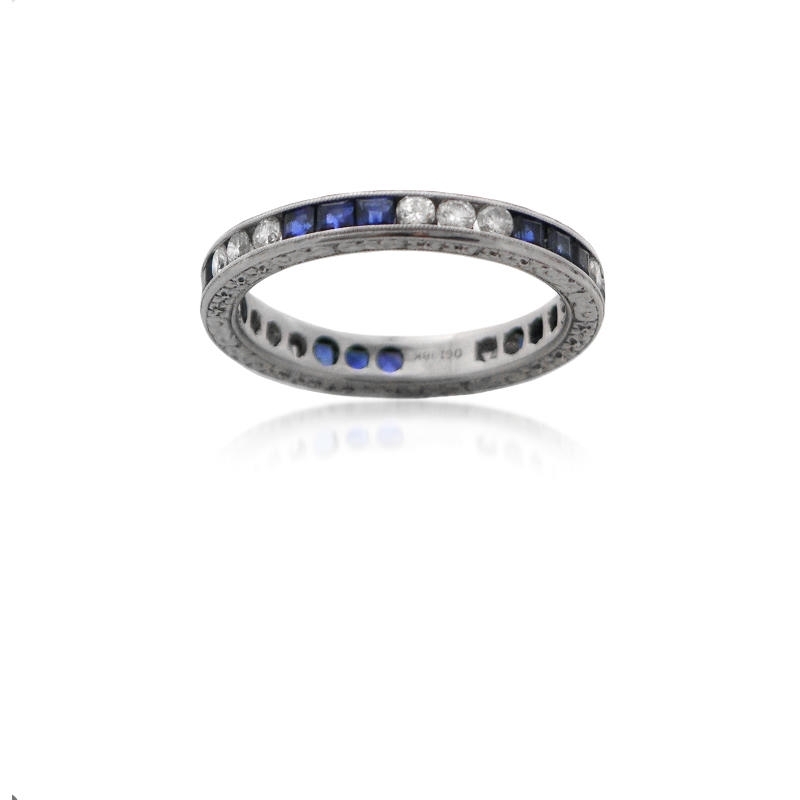 Measurements: Size 5.75 and 3mm wide. This ring may be ordered to size, requiring approximately 4-6 weeks for delivery. 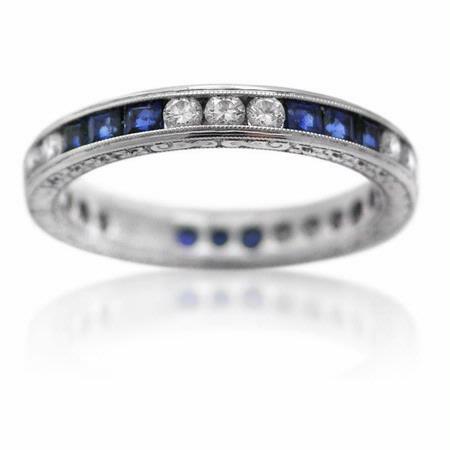 This handcrafted antique style 18k white gold eternity wedding band ring contains princess cut blue sapphires weighing 1.10 carats total and round brilliant cut white diamonds of F color, VS2 clarity and excellent cut and brilliance, weighing .51 carat total. Dimensions measure size 6 and 3mm wide. 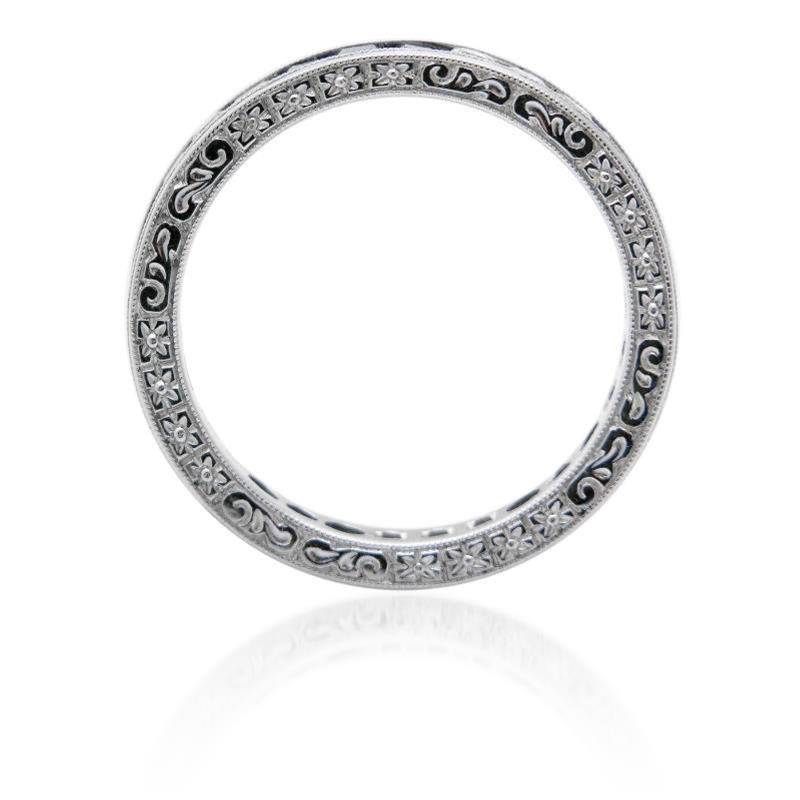 This ring may be ordered to size, requiring approximately 4-6 weeks for delivery. Larger sizes may incur additional cost.